Mostly old stuff. 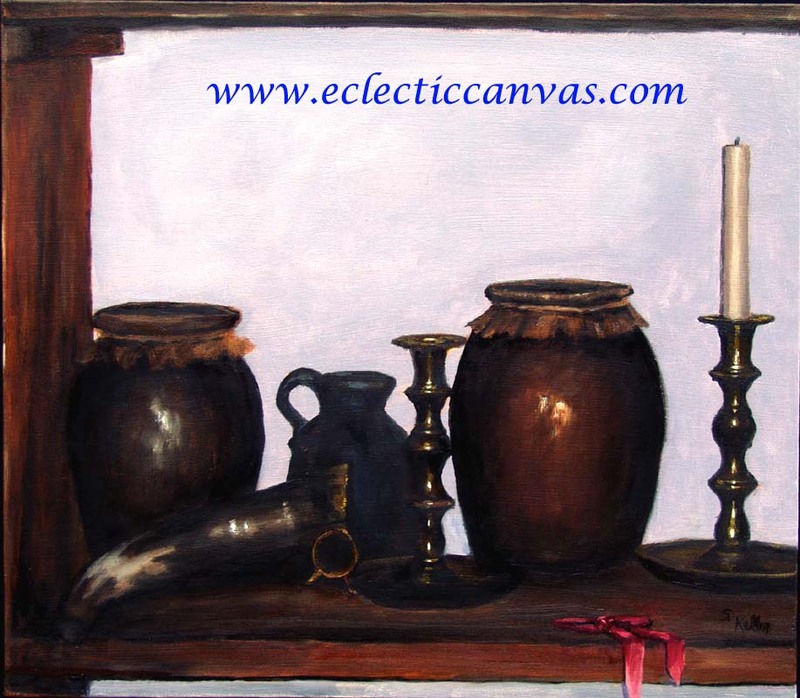 Original painting is 16 X 14, oil on gallery-wrap canvas. The painted surface extends to the sides, sides are two inches wide. The painting lies flat when hung and is meant to be hung unframed. No frame is included.